10 Hindi Social Dramas from the 90s’ we would love to have rerun. . .
TV shows today are nowhere popular to the shows that came out in 1990s. 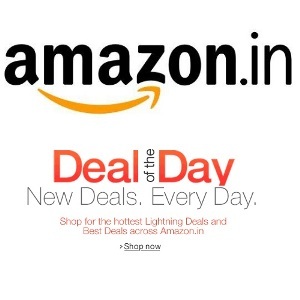 There is absolutely no doubt that there is no dearth of daily soaps and tele-series today on the Indian television. With the number of channels increasing day by day, newer shows are being introduced on a daily basis. But when it comes to format, they are nowhere popular to the shows that came out in the 1990s. With the Shahrukh Khan starrer Circus all set to make a rerun, we compiled a list of 10 social dramas from the 1990s which we would love to see all over again. Produced by Jaya Bachchan, Dekh Bhai Dekh is still considered a cult when it comes to the sitcom. The show saw an assembly of powerhouse performers like Farida Jalal, Sushma Seth, Navin Nischol, Shekhar Suman, Bhavana Balsavar and many more. The story revolved around the three generations of Diwan family who stayed in Mumbai and their camaraderie and clashes. Buniyaad is one of the first soap operas to be aired during the 80s and 90s. The show was directed by Ramesh Sippy and the story focussed on the aftermath of partition of India. The show made famous some of the actors who featured in the show like Alok Nath, Dalip Tahil, Soni Razdan and Krutika Desai. The show was the Hindi version of popular British show “Mind Your Language”. Pankaj Kapoor featured as the protagonist on the show who was an unemployed engineer took up the task of teaching Hindi to a group of people and the humorous situations encountered thereafter. The show saw popular actors like Shobha Khote, Tom Alter, Viju Khote and many more. The show directed by Sachin Pilgaonkar focused on the incessant squabbling between a mother-in-law and daughter-in-law, albeit with a dose of humor. The show which made actors Reema Lagoo, Kuldeep Pawar, Mahesh Thakur and Supriya Pilgaonkar popular became an instant hit as the concept clicked with the audiences. Ekta Kapoor debuted on television with producing this show which ran from 1995-1999. The show gained huge popularity for its five female protagonists. 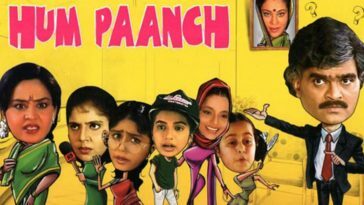 The show revolved around the weird Mathur family and their five daughters who would often indulge in hilarious eccentrics. Vidya Balan starred in the show as the bespectacled and simple Radhika. Banegi Apni Baat focused on the urban college life with an emphasis on issues like romance, ragging, friendship, and fights. The show was aired on Zee Tv and ran from 1993 to 1997. The show carved out the careers of some popular actors like R. Madhavan, Irrfan Khan, and Achint Kaur. The show focussed on the lower income strata people of the society, their daily trials and tribulations and their bitter-sweet exchanges. The story revolved around the unfulfilled aspirations of a motley of people like the electrician, cobbler, maid, local shop-keeper, constable, teacher and many more. The show was directed by Kundan Shah and had some of the best actors from the world of television like Pavan Malhotra, Dilip Dhawan, Avtar Gill and many more. The popular show was based on a novel by RK Narayan with the same title. The show focussed on a fictional town called Malgudi and the everyday life of the residents as seen through the eyes of Swami, the protagonist of the story. The show starred Shahrukh Khan in the role of a Malayalee circus person and ace director Ashutosh Gowariker. It was directed by Aziz Mirza and Kundan Shah and the story revolved around the life of people set in a circus troupe. 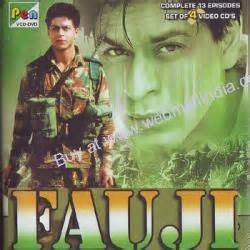 Fauzi was another popular show featuring Shahrukh Khan as one of the protagonists. The popular soap drama revolved around the life of the commandos who come to join the army. The daily life as a trainee commando, the punishment faced and the exchange of pranks and banters formed the core of this show.